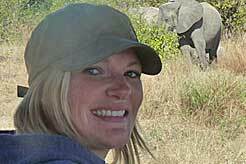 Why visit Isalo National Park? Marvel at the sandstone landscape, carved into ridges, strange formations and valleys by the elements. 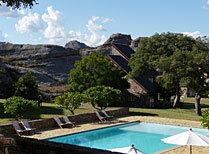 Hike through the varied terrain and swim in a natural pool ”“ and spot the frogs! 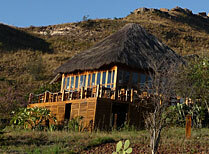 This is a great place to see lemurs, and is also home to 80 species of birds, including the rare Benson’s rock thrush. Try to identify some of the 500 species of plants, including the elephant’s foot. The climate is dry and warm throughout the year, with seasonal rainfall from January to March. Baby lemurs are born in October and November, and weaned in February/March. From Tolaria airport in the south, it's about a 4 hours drive to Isalo. If you are coming by road from Ranomafana or Fianarantsoa you will travel through some of the most beautiful scenery that the island has to offer. 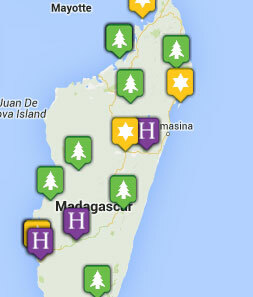 You will even pass through Madagascar’s small wine growing region. 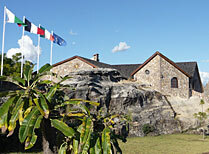 Le Relais de la Reine and Hotel Jardin du Roy are considered to be amongst the finest hotels in Madagascar and they are situated just beyond the southern boundary of the park. 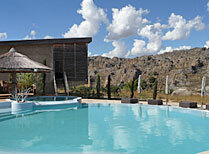 For something a little different Satrana Lodge offers safari style tented accommodation. Set in pretty gardens near Isalo National Park, this hotel offers a range of facilities including an outdoor pool and spa services. 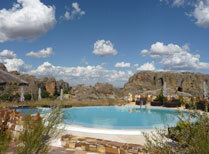 You'll enjoy a warm welcome here, one of the best hotels in Isalo which offers great value for money. Satrana Lodge offers tented accommodation evocative of an African safari and is superbly placed for visiting Isalo National Park.